It's Paula Deen's 65th birthday today, which just over a birthday ago might have meant celebrating with a decadent confection, but which we now have to commemorate with a rice cracker dusted with sugar-free powdered sugar powder. 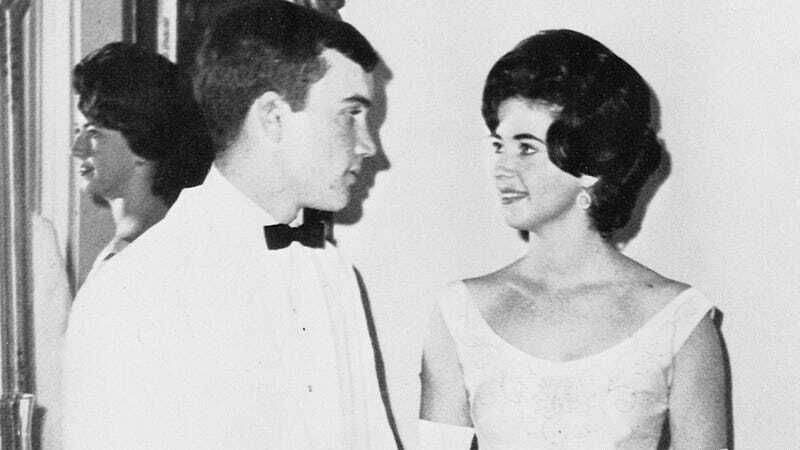 Eh, things change, which is pretty much the lesson of this Paula Deen prom picture, courtesy of Snakkle. Just imagine, one day in the future your hair could turn a startling shade of platinum and all you'd have is a picture of your 17-year-old self gazing awkwardly at your prom date to remember that you were young once, long, long ago.